The FA might have saved an awful lot of money on designing and building its English football-DNA lab in Burton had it known that Borussia Dortmund were so keen to play the role of finishing school for them. Having already polished the rough edges off Jadon Sancho and loaded him with enough mojo to make him a full international, Gareth Southgate’s new-found friends in Westphalia are hopeful of doing the same with Phil Foden. With Pep Guardiola having roughly 107 other options in the Manchester City playmaker role, Foden has yet to sign a new contract and, after watching Sancho leave City to become a regular at the Bundesliga giants where he gets to play in an atmospheric bouncy castle every other week, the prospect must be very tempting. Dortmund will have competition for the little creator’s signature as it says here that RB Leipzig and PSG are also hungrily circling the Etihad. Bournemouth’s versatile defender Nathan Aké sounded like he was trying to advertise this very column as he attempted to pour a jug of ice-cold water over speculation linking him with a move to Manchester United. “I’ve seen it pass by but of course it’s rumours,” he told Dutch hacks. “At the moment I play at Bournemouth and that is going well, so I focus on that. This does not say much about my status yet. They are rumours on the internet and as long as I do not hear anything myself, I will not go into that,” he added, prompting Ed Woodward to leap for his phone. Eden Hazard still appears to be as tediously torn as Natalia Imbruglia Lis Sørensen over a potential move from Chelsea to Real Madrid. Having last week said it would be a “dream” to play for the European champions, this week he has distanced himself from packing his bags and forcing through a move this winter. “A transfer in January? It’s not possible,” he sighed, after being asked the same question again and again and again. Arsenal are targeting a couple of callow and tricky midfielders who need a good Googling. Rennes’s Ismaila Sarr and Bayer Leverkusen’s Kai Havertz have popped up on the Gunners’ radar, perhaps just to keep Arsène Wenger happy that – results aside – the club is still doing some things his way. Milan are considering cancelling Tiémoué Bakayoko’s loan deal and sending him back to Chelsea early because of “defects in his game”. Ouch. Meanwhile, there is bad news for Spurs fans. Mousa Dembélé is considering filling up his bank account at the end of the season by leaving Tottenham on a free for Beijing Sinobo Guoan in the Chinese Super League. And perhaps Tears for Fears wrote Mad World having time-travelled to October 2018 and seen that the Belgium coaching setup was soon likely to consist of not just Roberto Martínez as manager, but former Wigan Athletic pocket rocket Shaun Maloney as his assistant. West Ham were interested in signing Club Brugge midfielder Marvelous Nakamba in the summer, according to a report from Voetbal Nieuws. But the Hammers didn’t make a formal offer to Brugge for the services of their star. West Ham appointed Manuel Pellegrini as their new manager in the summer to turn the fortunes around. Pellegrini spent a lot of money in the summer to strengthen his squad and plug the problematic areas. The likes of Andriy Yarmolenko, Jack Wilshere, Felipe Anderson, Fabian Balbuena, Issa Diop and Carlos Sanchez arrived through the front door at West Ham as Pellegrini looked to make a massive statement this season. However, the Hammers endured the worst possible start to the 2018/19 campaign as they lost four back-to-back Premier League games and the optimism that was built following the arrival of some exciting signings was destroyed. And while West Ham have turned around a corner by picking up some impressive results lately, most notably against Manchester United, the midfield looks like an area that needs strengthening. Jack Wilshere arrived at the London stadium amidst a lot of fanfare but he has picked up another unfortunate injury that has kept him out of action. Declan Rice has performed the role of an anchor very well after Pellegrini switched to a 4-3-3 formation, with Mark Noble and Pedro Obiang doing a good job in the advanced roles. However, Noble is 31 and lacks the legs to run the pitch for the entire 90 minutes. The West Ham skipper has started ageing and Pellegrini would be wise to consider potential replacements in January. The Chilean manager should reignite his interest in Marvelous Nakamba in order to replace the ageing Noble in the middle of the park. 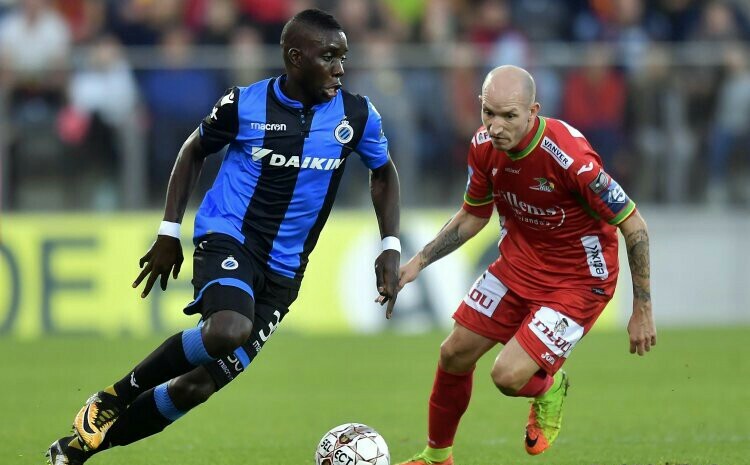 Nakamba, 24, enjoyed a fantastic last season with Brugge and has managed to put the early struggles in Europe behind him. Thanks to a three-year spell with Vitesse in Eredivisie, as it helped the Zimbabwean get back his mojo. After a season of stellar consistency with Brugge, the 24-year-old certainly is ready to take the next big step in his career. In Nakamba, West Ham would get a powerful midfielder who would suit the role of a deep-lying playmaker. He is a tenacious, aggressive and a strong midfield player who uses his strength to win aerial duels and uses his vision to pick out passes from the deep. He is a tough-tackler, quick on the ground and is a very good recycler of possession. Truly, the Zimbabwean star has all the qualities to succeed at West Ham and endear himself to the fans. All in all, Nakamba is a player for whom Pellegrini should break the bank for in January to bolster his midfield options.